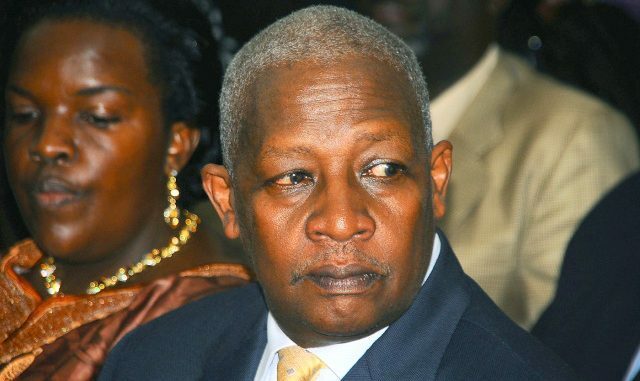 A section of Members of Parliament have demanded for the immediate resignation of Foreign Affairs Minister Sam Kutesa following allegations that he received a bribe of Shs 1.8 billion while serving as president of the United Nations General Assembly. Speaking to journalists at Parliament, legislators including Ntungamo Municipality MP Gerald Karuhanga, Kumi Woman MP Monica Amoding, Lwemiyaga County MP Theodore Ssekikubo and Jie County MP Moses Bildad Adome expressed dismay at the allegations leveled against the minister, also brother-in-law of President Museveni. “Now we must recall that shortly before Honourable Sam Kutesa’s appointment or election to the presidency of United Nations, a number of us were here opposed to that appointment. One of the things we mentioned was that this man is so incredible; he is so wrong, so grossly wrong that he may even sell chairs of the United Nations (UN). And people thought we were joking and now time has come to vindicate. Time is the best judge. Listen to what he did,” said Karuhanga. Karuhanga said it is sad that very soon the country will see arrest warrants issued for Kutesa. According to details of a criminal bribery case being prosecuted in the United States, minister Kutesa received $500,000 payment to help a Chinese firm obtain business advantages in the energy and banking sectors including potential acquisition of a Ugandan bank. This allegation is contained in a complaint against the head of a Hong Kong-based NGO Dr Chi Ping Patrick Ho, and the former foreign minister of Senegal Cheikh Gadio. The duo is accused of bribing high-level officials to help a Chinese oil and gas company to gain business advantages in Africa. Gadio was arrested in New York on Friday afternoon while Ho was arrested on Saturday. The two were charged in a Manhattan Federal Court on Monday with violations of the Foreign Corrupt Practices Act, international money laundering and conspiracy to commit both. Ho allegedly paid a $500,000 (about Shs 1.8 billion) bribe via wires transmitted through New York to an account designated by Minister Kutesa in Uganda. The bribe was paid on or about May 6, 2016, after Kutesa finished his term as president of the U.N. General Assembly, the complaint said. Ho also provided the Ugandan official with gifts and promises of future benefits, including offering to share the profits, the compliant further states. Prosecutors said the bribe was meant to secure business advantages for the energy company, which was not identified in court papers, and potential acquisition of a Ugandan bank [seemingly Crane bank] . The Foreign Affairs ministry yesterday explained the circumstances under which Kutesa interacted with Ho. According to the ministry, it’s erroneous to link Kutesa to the bribery allegations saying that the minister interacted with Ho in his official capacity as the President of the General Assembly. But even with this ‘clarification’ statement by the ministry, MPs are still not convinced with Karuhanga recounting the 2012 oil bribery allegations in which Kutesa, former Prime Minister Amama Mbabazi, and former Internal Affairs minister Hilary Onek were accused of receiving bribes from oil companies. The ministers, however, denied any wrongdoing and were later cleared by the parliamentary adhoc committee that investigated the bribery allegations. With the new bribery allegations, MP Karuhanga says that Kutesa should resign and give Ugandans at least a chance of cleansing their country. “He is probably the most corrupt individual that this country has witnessed in recent times. 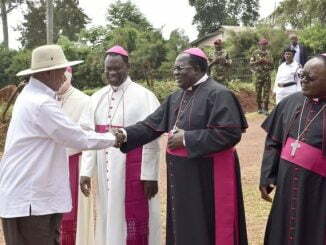 This man is at the core of this regime, this man is in deep cohorts with president Museveni then this is the time to think twice if you had any doubt. It is obvious that for a long time we have been seeing a racket and maybe this is a tip of the iceberg. A racket of swindling money from money from Ugandan taxpayers, a racket of receiving money from international corporations basically to avail or provide influence to the disadvantage of Ugandans and finally to the disadvantage of United Nations. If you thought that this was an issue of Uganda, now you realise that it is an issue of also of the United Nations,” Karuhanga said. Ssekikubo also weighed in, demanding for Museveni’s explanation following revelations that he received gifts and re-election support from a Chinese company that was seeking to gain business advantage in Uganda. The deal was reportedly brokered by Kutesa, and his wife, Edith Gasana. Kutesa reportedly sourced the support partly while serving as President of the United Nations General Assembly, during a visit to China in 2015. 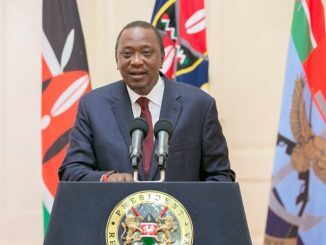 Ssekikubo wondered if the president is a beneficiary of money laundering when the law requires that political parties must account for the sources of funding. The MP said that the happenings do not only impact on President Museveni and Kutesa alone, but the image entire country. “It is now up to the president, did he campaign with money laundered from foreign countries. Money laundering by President Museveni through Kutesa? Why am I putting this to the president? He has seen it all coming right from CHOGM (Commonwealth Heads of Government Meeting). Remember honourable Kutesa was implicated on supply of bogus vehicles for the CHOGM, the advertisement for CHOGM, then the oil bribery scandal, it is now here with us again by the same person. So there must be a link. Actually this is not only a parasite, there must be shared interest because why for instance is all this happening and the president doesn’t raise his finger. Unfortunately now all of us are indicted because our Foreign Affairs minister now with my little,” Ssekikubo said. 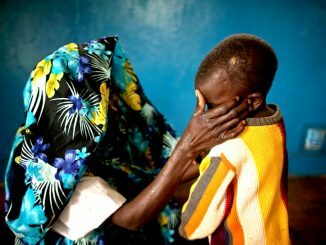 Jie County MP Adome said Kutesa is a simply a victim of his own greed and family impunity. In 1998 Kutesa, then serving as state minister for Investment, resigned as parliament prepared to censure him accusing him of benefiting from the sale of the former Uganda Airlines. His colleague, then primary education minister Jim Muhwezi was censured for mismanaging Universal Primary Education. The two were, however, never prosecuted and returned to cabinet after the 2001 elections.